Palestinian children as young as 9, are being held at the G4S prison at Ofer and at other gaols, beaten up, forced to sit in extremely uncomfortable positions, with food thrown on the floor. It is impossible to imagine this could every happen to a Jewish child. It is fast becoming a scandal, the way Palestinian children as young as 9, are being held at G4Security Establishments, beaten up, forced to sit in extremely uncomfortable positions, with food thrown on the floor. Thus we see the Israeli State in all its savagery, with its accomplices in the Quisling Palestinian Authority. Children in the Palestinian Authority juvenile justice system adopting the same tactics as the Israeli military. 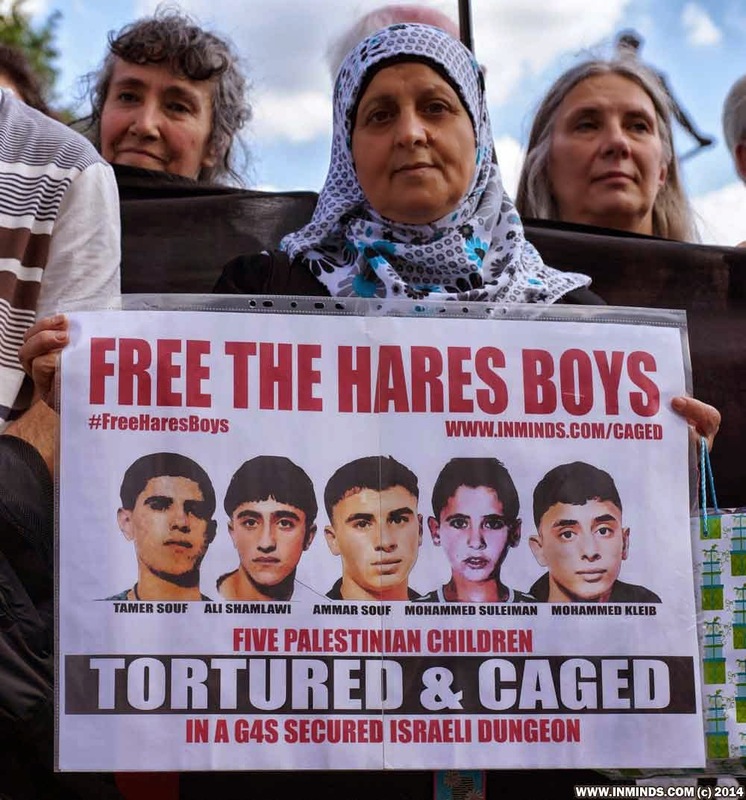 Um Fadi, the mother of Palestinian tortured child prisoner Ali Shamlawi - one of the 5 Hares Boys, will address a special meeting of the All Party Parliamentary Group on Britain-Palestine (APPG) on 24th June 2014. The meeting is in the House of Commons and is open to the public, please come to show your support. Its starts at 4:30pm but please come 30 minutes early for the security checks that have to take place before your are allowed in to the House of Commons.